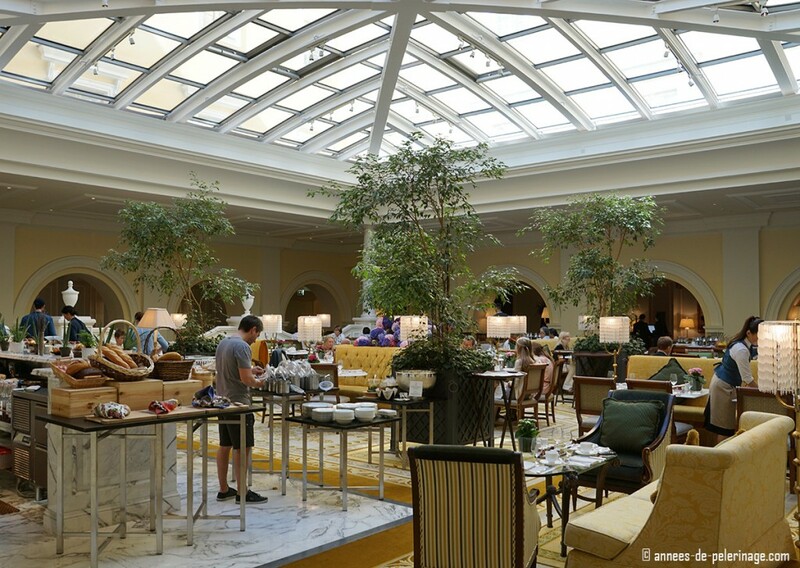 A full review of my stay at the Four Seasons Lion Palace, probably the best luxury hotel in St. Petersburg, Russia. Any experienced traveler will confirm: finding the perfect city hotel is close to impossible. Most of them feel cramped or offer subpar-luxury at overprized rates, and very few make you truly feel at home. I guess it boils down to the very fact that big cities, attractive as they are for tourists, are a nightmare for any hotelier planning to build anything beyond a plain place where business people stay a couple of hours on their way to the next airport. But there are wonderful exceptions: One of them is certainly the Four Seasons Lion Palace in St. Petersburg. 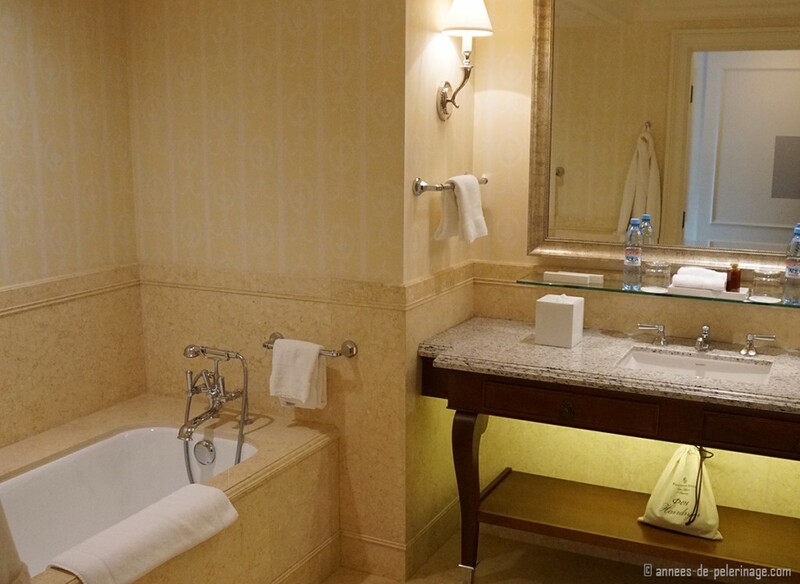 The luxury hotel in the heart of Russia’s old Capital surprised me in so many ways that I felt compelled to type down this review. It became my little haven to explore the city and it certainly enabled me to see St. Petersburg’s famous sights like Peterhof Palace (read the story here) and of course the Catherine Palace in style – without feeling stressed out. 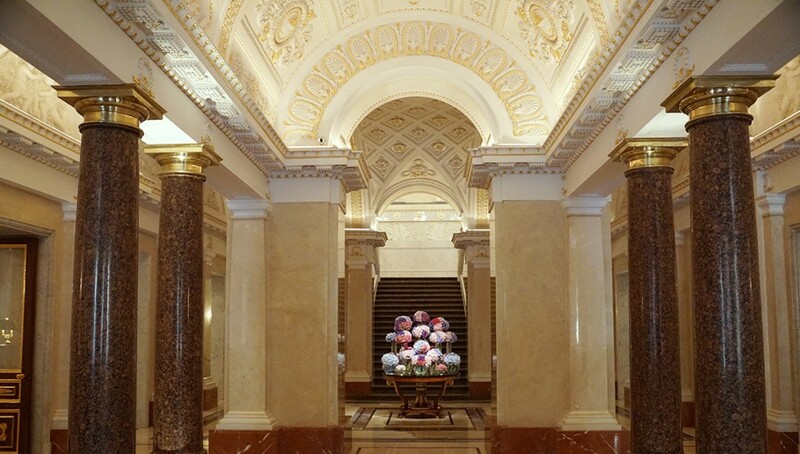 First of all, you have to know that the Four Seasons in St. Petersburg is located inside an old imperial palace. 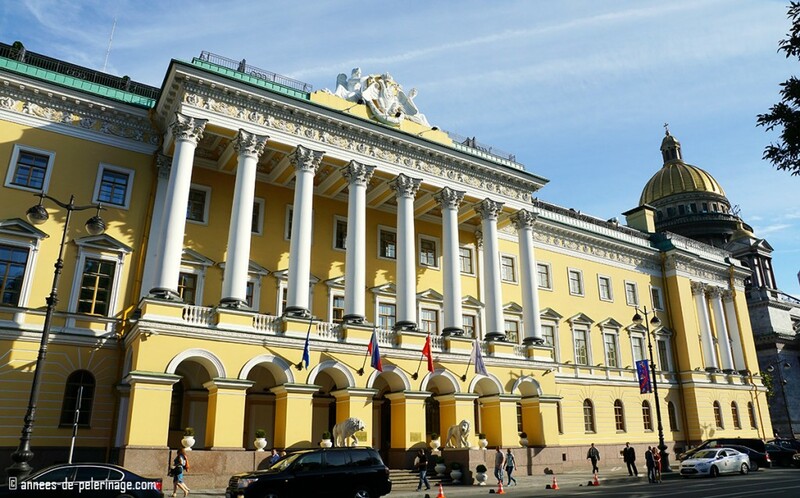 It was once known as the Lobanov-Rostovsky Palace. These days it goes by the name “Lion Palace”. Two huge lions guarding its yellow-golden portico became the signature feature. 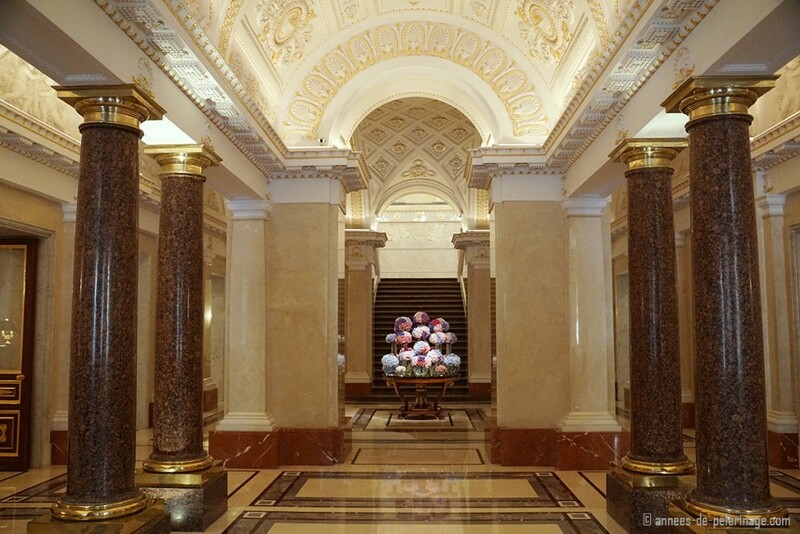 Walk through it and enter a world of pampered luxury. 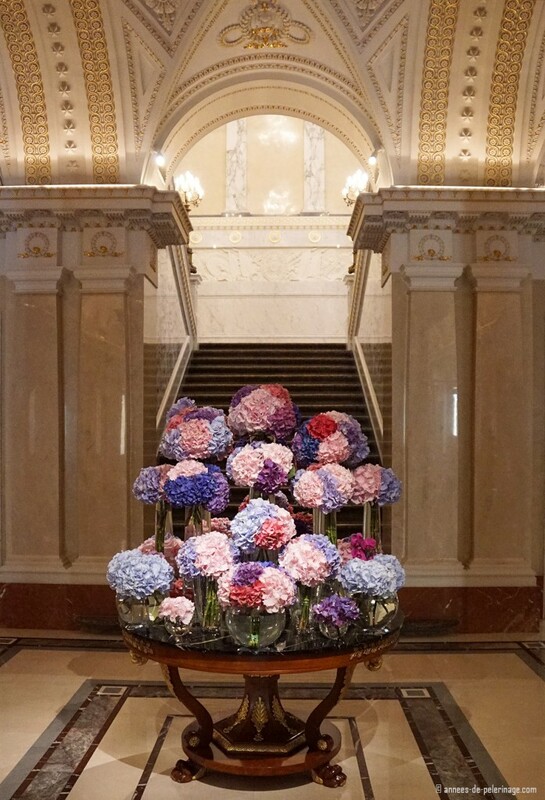 As is typical for any Four Seasons hotel throughout the world, the lobby will be richly decorated, while the historic building adds that hard to copy little extra. I wasn’t the only one attracted by the entire flowery splendor; basically, every new guest seemed to follow the silent invitation to take a gazillion pictures of it. 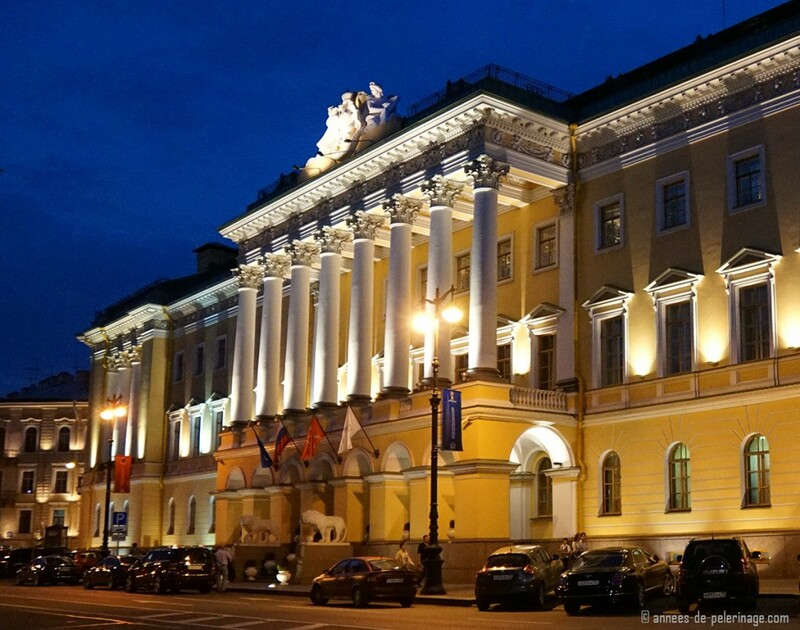 Apart from the historic setting, the most noteworthy features of the Four Seasons Lion Palace are probably its close proximity to the city center (only 5 minutes on foot to the Hermitage), and its fairly recent opening. The renovations of the ancient Palace have only been finished in 2013, so everything is in super pristine condition. Spectacular as the outer appearance is, the true quality of a hotel can be measured first and foremost by the standard of its rooms. During several stays at the hotel I had the chance to sample everything from terrace suite to standard rooms and none did disappoint. The interior design was very classic and in line with Russian expectations. Personally, I’d preferred something a bit more modern, but then again it would feel out of place in this historic building. (On a site note: The Four Seasons in Moscow, 5 meters away from Red Square, offers you just that, though). I won’t and can’t hide the fact that the terrace rooms & suites really were the most impressive. 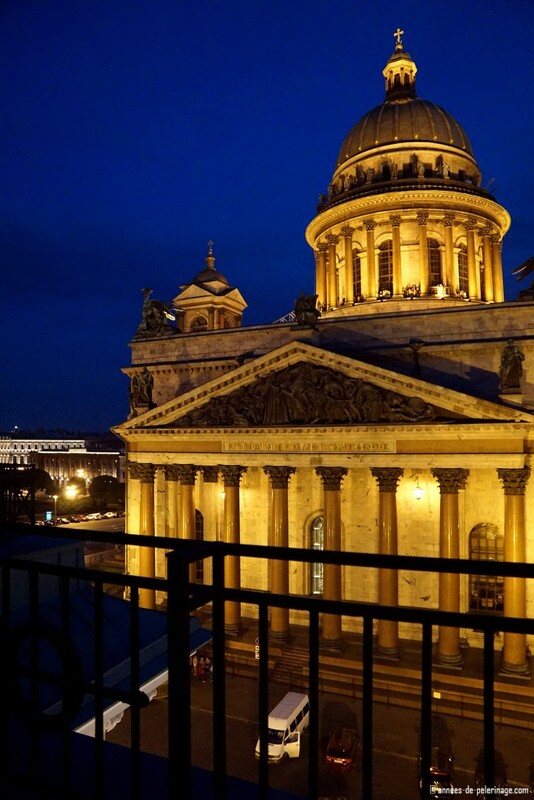 The Four Seasons Lion Palace stands directly next to the famous St. Isaacs Cathedral and if you are lucky (make sure to help along that luck by asking in advance) you will be able to enjoy a very special view on this architectonic highlight in St. Petersburg. The normal terrace rooms will, however, be a bit smaller than the standard rooms, with less space for storing your luggage. But I wouldn’t make too much of it really – even then smallest rooms will probably be bigger than anything else you will find in the city (ranging from 36 to 49 m²). And of course, there are bigger suites with up to 150 square meters. Let’s start with breakfast. 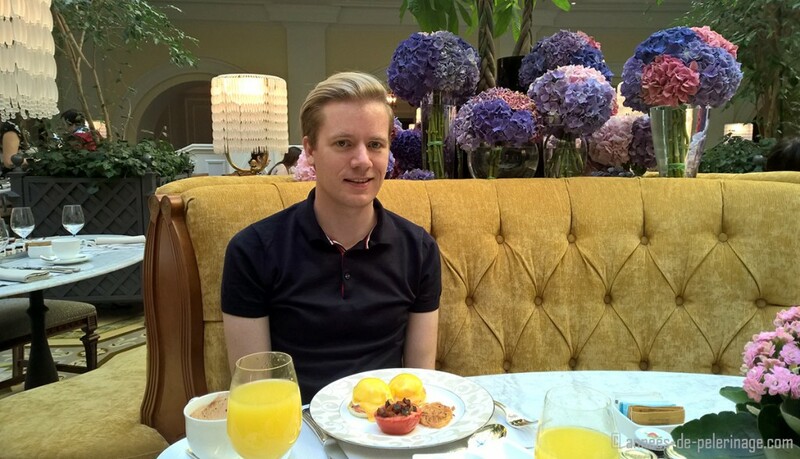 The Breakfast at the Four Seasons Lion Palace is truly outstanding. Not only in terms of the variety (Caviar at the buffet, hello! ), but also in terms of the excellent service and quality. The waiters are very attentive, while not being intrusive, and well-versed in English. Of course, it helps that it is all happening below this spectacular glass dome. Ages ago this must have been an open courtyard. These days trees and high seats are providing that extra bit of intimacy. (On New Year’s Eve they transformed it into one big party area, a truly wonderful experience. If you are wondering what to do in St. Petersburg on this auspicious date, you should read my guide here). Other than the breakfast room, there are two restaurants and a bar. All of them are really worth a visit. 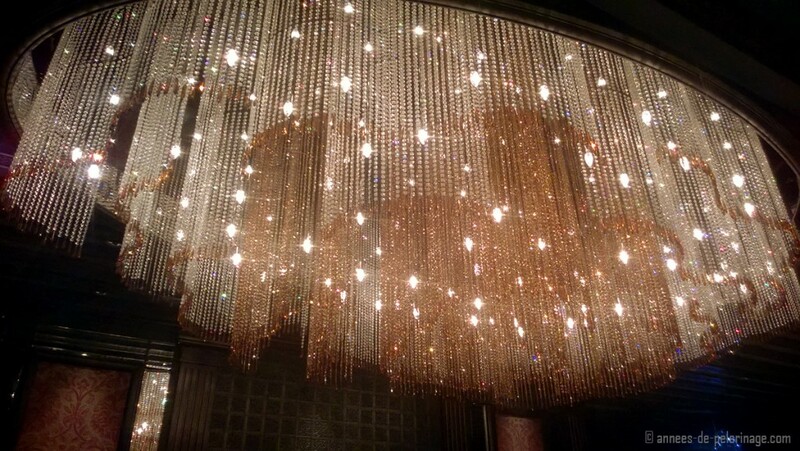 The Italian restaurant (called Precorso) will impress you with its spectacular chandeliers (and quite good food). Now I wouldn’t call the Four Seasons Lion Palace the best luxury hotel in St. Petersburg if there wasn’t a spa. City hotels and spas are always a tricky thing. If you have more than a hot tub you can count yourself lucky. There usually isn’t the space for a big pool – especially when the building is a bit older. The Four Seasons Lion Palace really has a huge spa, seemingly built into another old courtyard. The pool offers you various underwater massage functions, while there is a sauna (of course there is a sauna in Russia ;-)) and various treatment rooms. After walking through the Hermitage the whole day (read my comprehensive guide here) this really helped a lot to soak away the various aches. 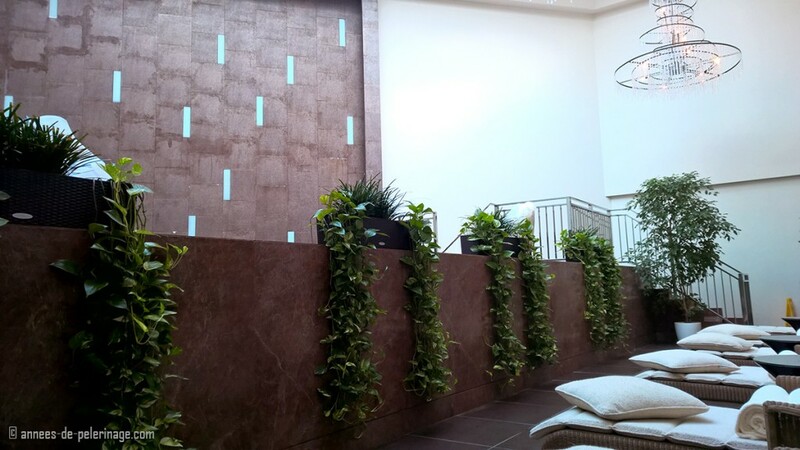 I really have to say, though, that the noise of the big indoor waterfall is a bit high. Then again I am a very noise sensitive guy. 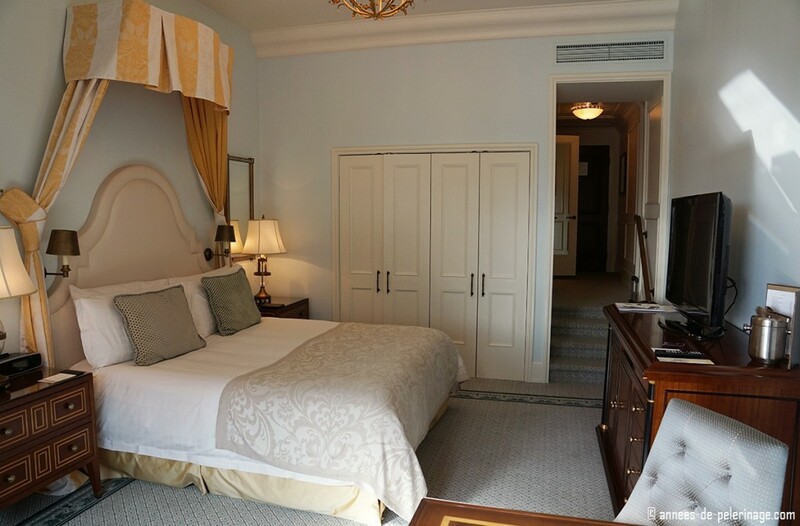 The Four Seasons Lion Palace is a wonderful city hotel. The staff is more than helpful and well trained (and I don’t say this lightly! ), the rooms are spacious and comfortable, and the food (especially breakfast) is above the international luxury standard. It doesn’t come cheap, but it is located in the very center of St. Petersburg only a couple of meters away from Hermitage and Nevsky Prospect. The historic setting adds that little extra, while the price is actually quite reasonable (though the Ruble isn’t very strong at the moment). In my opinion there really isn’t a better hotel in St. Petersburg. 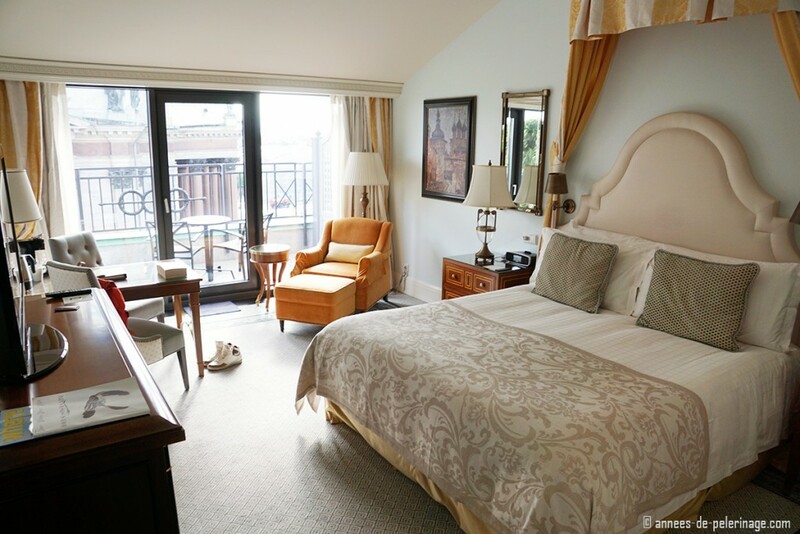 The Belmond Europe would be a good alternative with equally high standards, but since the Four Seasons Lion Palace has only been recently opened (2013) it always was my best choice. Here is a link to booking.com where I found the best price & finally ended up booking my stay. 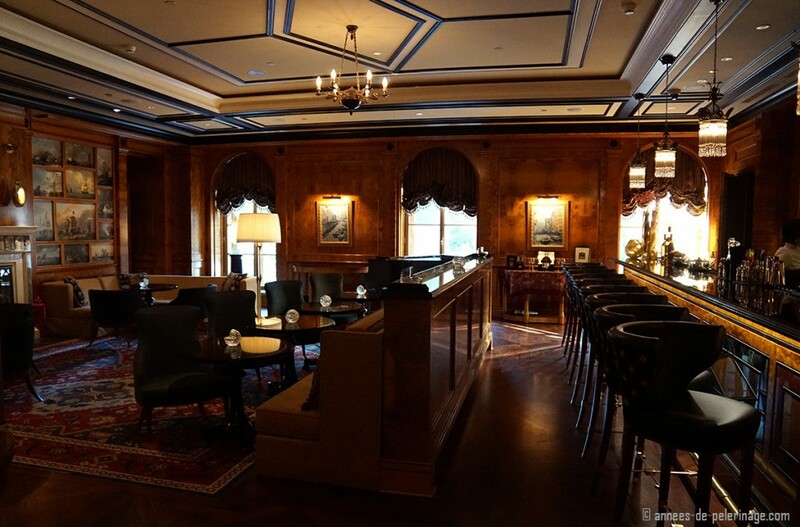 Disclaimer: I had no association with Four Seasons whatsoever when writing this review. My opinions are my own, and so was the money that paid for the stay. In 2014 I stayed twice at this luxury hotel, once in a premium room. The other time I had a voucher for a terrace room.